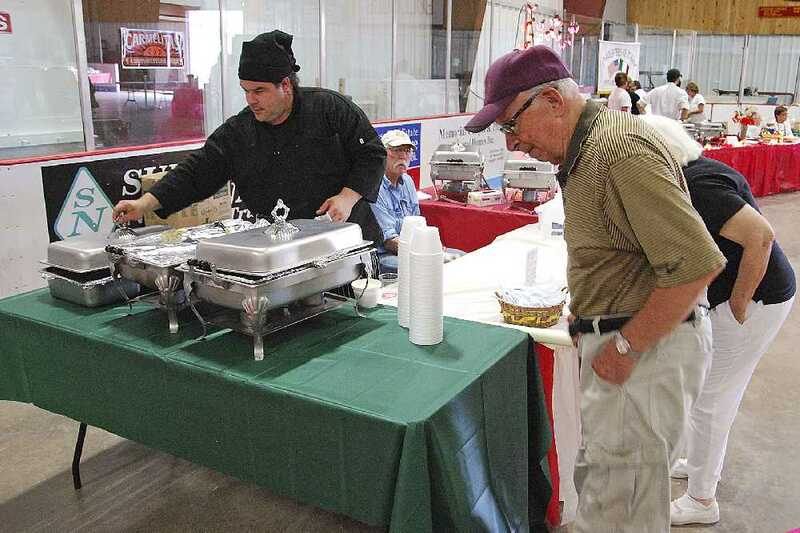 The Copper Country Festa Italiana for 2015, was held August 8th, at the Houghton County Multipurpose Arena in Hancock. 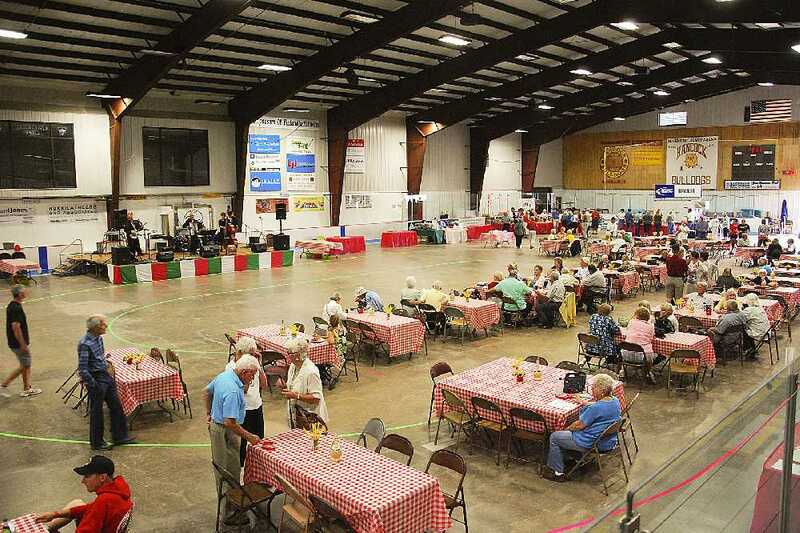 A great day for traditional Italian-Americans to get together and celebrate with music and entertainment, including an afternoon of Bocce Ball. 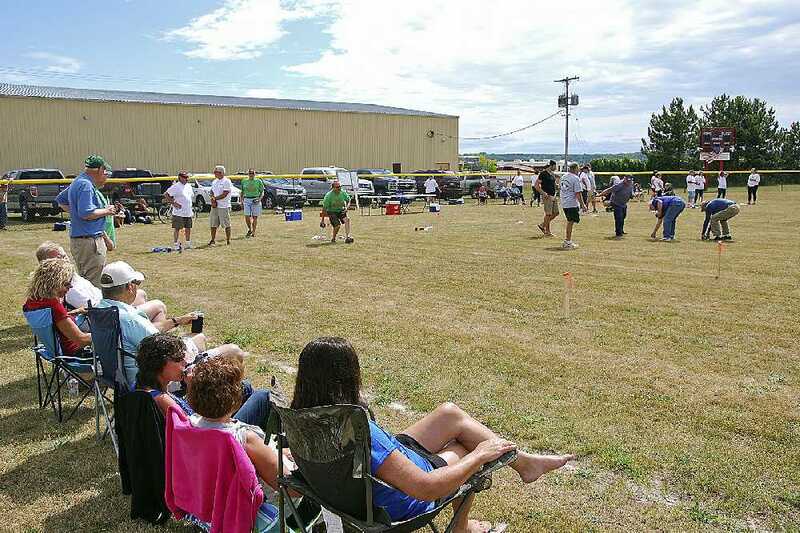 Something not often seen in the area, a Bocce Balll Tournament. 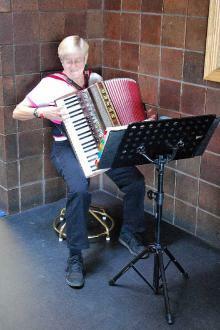 This accordionist played favorites for early comers, while the Bocce Ball Tournament was ongoing. 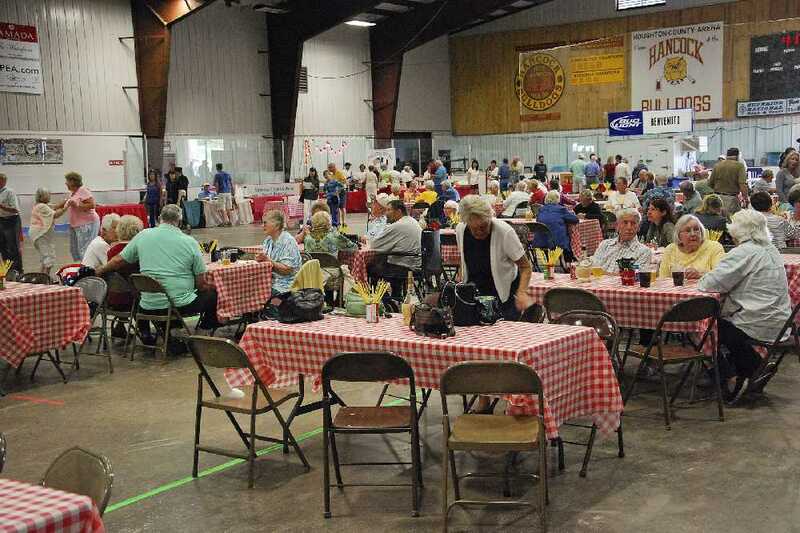 But finally, Tournament over, the food began to be the highlight of the day. 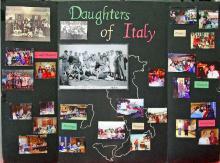 And refreshments as well. 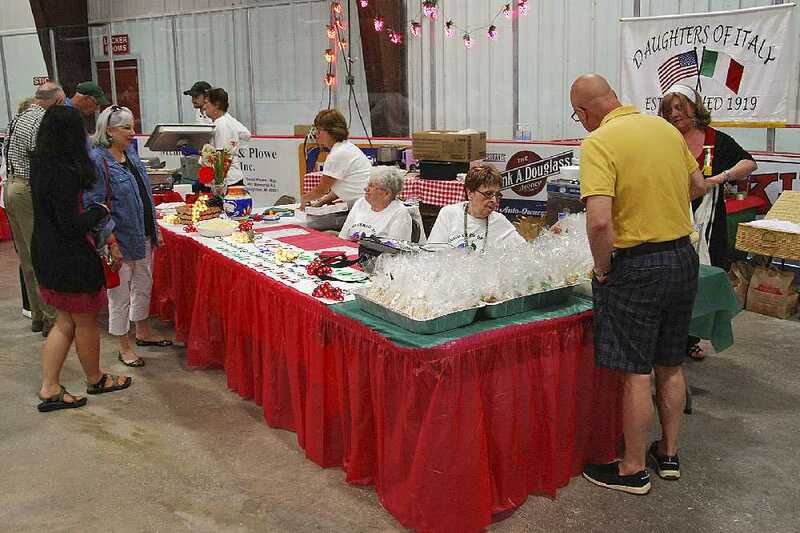 There were many food offerings at many tables ... something for everyone. (Many times over). 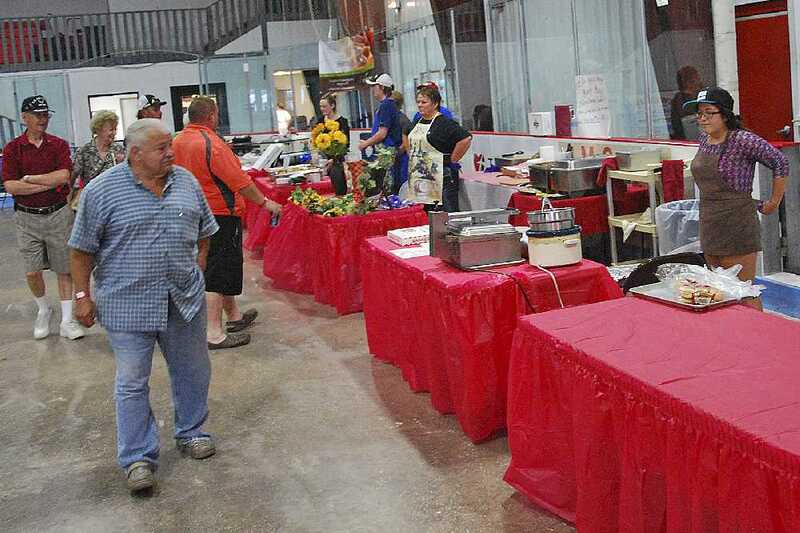 And still more food offerings. 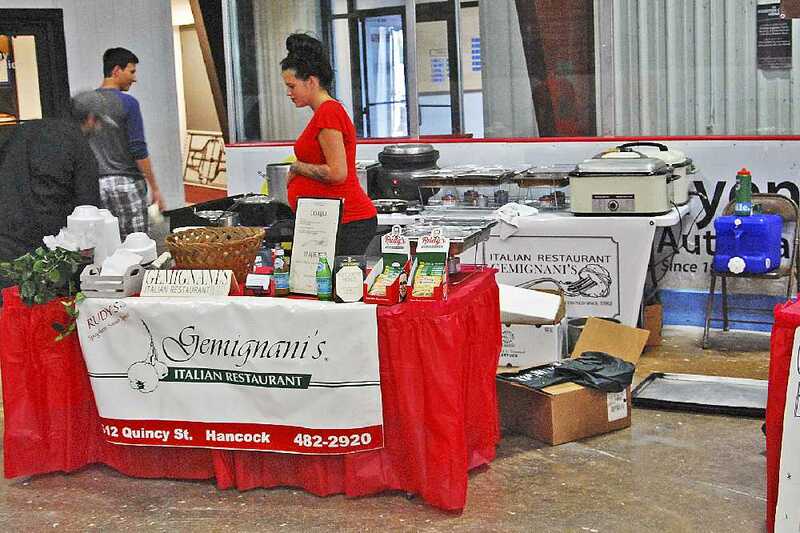 And Gemignani’s even offered pizzas, with custom toppings, cooked on a special portable oven on a trailer in the parking lot. 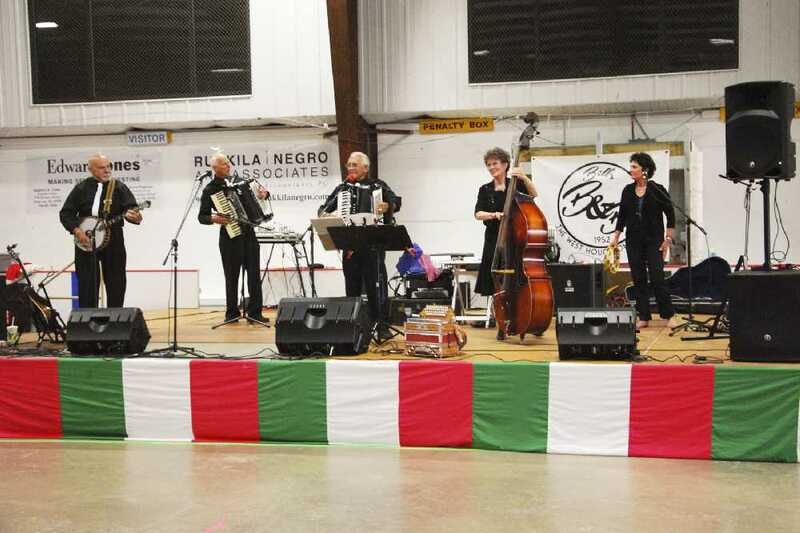 The musical highlight of the day was incomparable “Bandi di Polka Piu Pericoloso del Mondo”, The World’s Most Dangerous Polka and Variety Band, with Jim & Teri Enrietti, Don Masnado, Jack Chamberlain, and Jan Arnold. 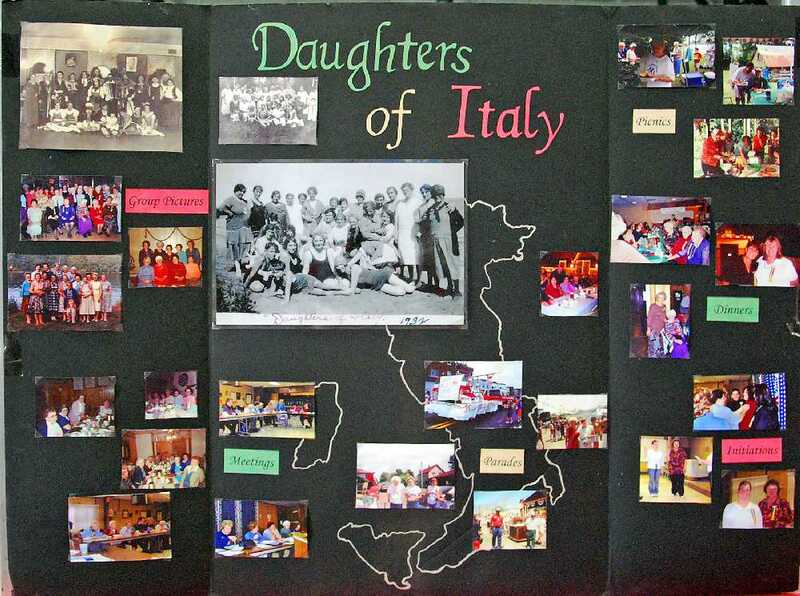 The beginnings of these parties, goes back to 1919, when the Daughters of Italy formed in the Range Towns, and held get togethers usually twice a year. A view of the Arena floor. And some of the crowd. A fine time was had by all. Come next year.